We are a short walk from the beach. 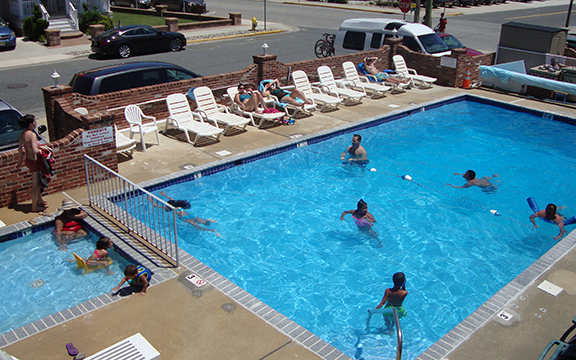 Facilities include an outdoor swimming pool, large picnic area, and free Wi-Fi. A microwave and refrigerator are included in all rooms. The rooms have flat screen TV's and a full bathroom as well. Some rooms have a kitchenette with stove and a dining area. 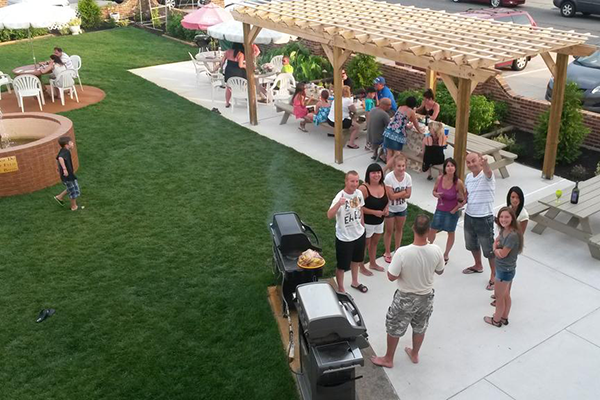 Guests can relax on the poolside and use the barbecue facilities. Laundry facilities are on site. The boardwalk is approximately one mile from the motel and two minutes walking distance to the free beach. The Cape May County Park and Zoo are 12.8 miles away. A microwave and refrigerator are included in all rooms at the Blue Water Motel. The rooms have cable TV and a private bathroom as well. Some rooms have a kitchenette with stove. Guest can relax in the courtyard and use the barbecue facilities. Laundry facilities are on-site at the Blue Water. 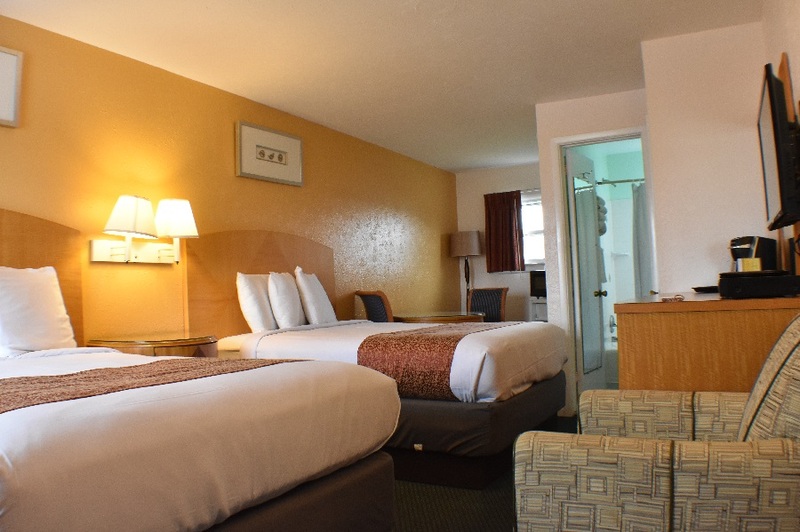 Free parking is provided for one car per room. Enjoy a swim in our pool or relax on the lounge chairs for the perfect tan. Kids can play/swim in the kiddie pool too.